The Windsor Real Estate market is on the rise, and there has never been a better time to launch a home staging career in Windsor/Essex County! online program will be available Jun 27th – click “Online Info” to learn more. 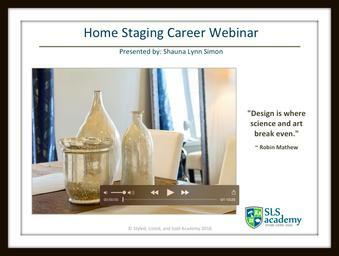 SLS Academy courses are taught by the award-winning home stager, Shauna Lynn Simon. Born and raised in Windsor, Shauna Lynn continues to keep to her Windsor roots, with family and friends throughout the city, and frequent visits throughout the year. Shauna Lynn currently resides in Kitchener, ON, and started her home staging company, Beyond The Stage Homes, in 2008 during the major US housing crash (which caused worldwide housing market concerns and uncertainty). She has witnessed numerous economic changes since launching her business in the Waterloo Region, including the traumatic fall of the legendary Blackberry, Waterloo Region’s top employer. Home Staging is an industry that is on the rise, and she can teach you how to be a pioneer in the field, and launch a successful career. Learn more about her story here. Not sure if home staging is the right career for you? Interested in getting a glimpse into the industry? Whether you’ve already launched your home staging business, or you’re trying to decide if this is the right career choice, our Home Staging Career Webinar will give you the answers you need. Get started today in the world of home staging! Hosted by multi-award winning Shauna Lynn Simon, Founder and Lead Creative Solutions provider at Beyond The Stage Homes.